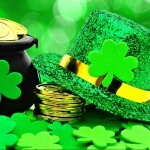 Celebrate St. Patrick’s Day with some fun crafts and activities! 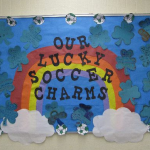 Make shamrocks, leprechauns, and other creative Irish themed projects to add some luck and color to the holiday. These ideas are great for both kids and adults. 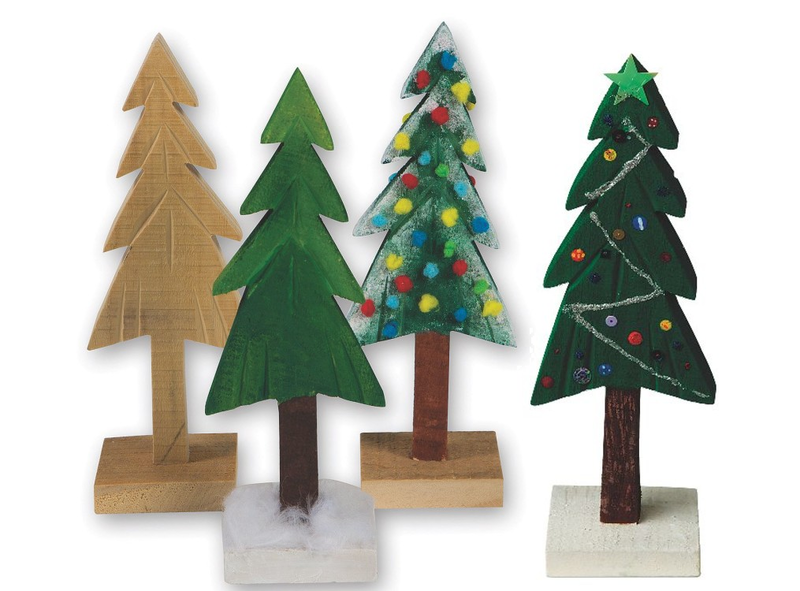 This is one of our favorite holiday craft ideas from our craft expert Crafty Kate. She used some of our leftover wooden hearts from Valentine’s Day and used them to make a 4 leaf clover! Use green stain to give it a realistic look. Then fit them together with tacky glue. Add a popsicle stick to the end for the stem. The finished clover can be used as a hanging decoration or a cup holder! Our new wooden horshoe plaques are perfect for St. Patrick’s Day because they respresent luck! Paint a fun design like this one using acrylic paint, then add a green ribbon and hang it as a decoration. Use wooden beads to create a St. Patrick’s Day themed necklace! We painted a shamrock on the center bead using a small paintbrush, then used the colors of the Irish flag (green, white, and red) for each of the other beads. We also added gold for good luck, and as a reference to the pot of gold! Lucas is showing off a leprechaun mask also made by Crafty Kate. Using simple animal masks, color the face lightly with acrylic paint. Then make the beard by pulling apart a large orange puff ball and gluing the pieces to the mask. Don’t forget the eyebrows! The hat can be made using green, black, and yellow construction paper. For a fun activity, have each person make and design their own leprechaun, then have a contest based on certain categories, such as Longest Beard, Most Creative Hat, and Funniest. Make keychains using star beads and any kind of green beads you’d like. We used these pony beads which you can get in individual colors. Then use single letter beads to spell out your St. Patrick’s Day saying. We chose “Luck of the Irish”. 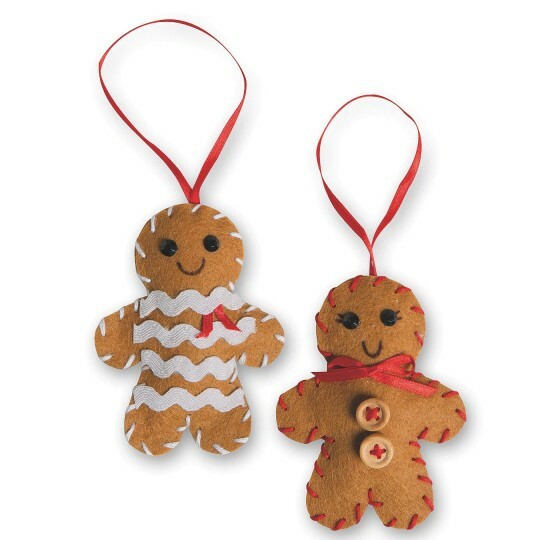 This is a fun classroom activity idea, and the finished keychains can even be used for a special holiday fundraiser. 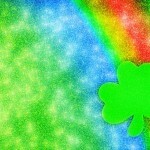 You can use sensory tubes to create several fun St. Patrick’s Day activities! Kids can have fun experimenting with different green and gold materials to create a new sensory effect. They provide both visual and auditory benefits. See the videos and learn how to make them here. Make this paper suncatcher craft in just 4 simple steps, and using common craft materials! Then hang the finished product in the window and watch it catch the sunlight through the tissue paper. Learn how to make it here. 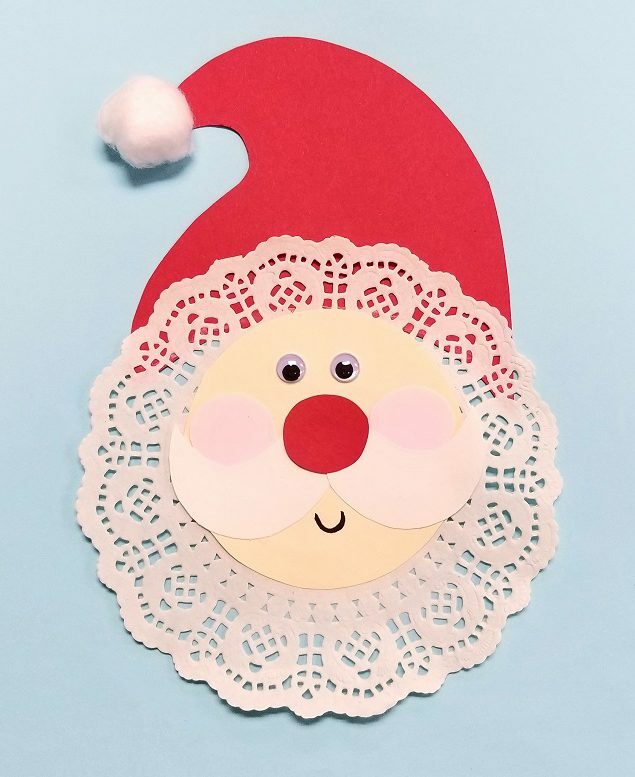 This entry was posted in Arts & Crafts, Holiday Crafts, Newsletter March and tagged clover, crafty kate, Holiday Crafts, irish, Kids Crafts, leprechaun, lucky, shamrock, st. patrick's day by S&S Worldwide. Bookmark the permalink. Have you done any crafts or activities around a western or 70’s party theme?